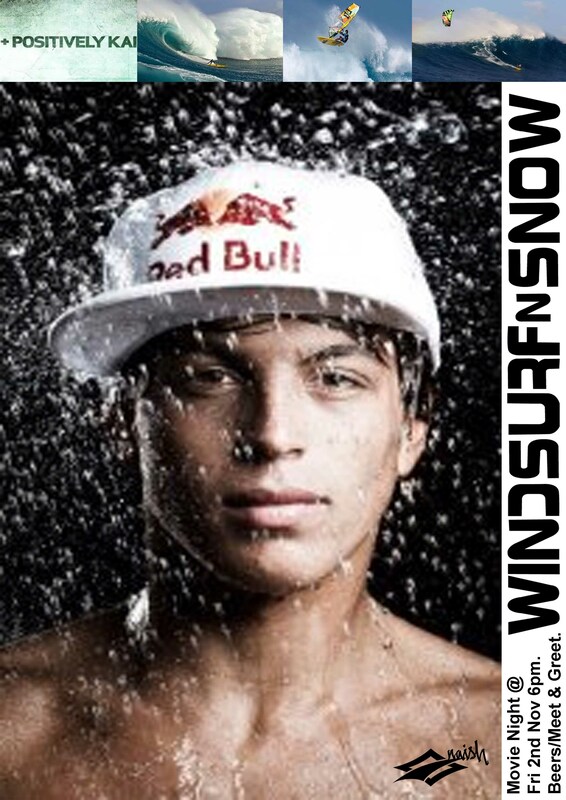 Head to Windsurfn’Snow tomorrow afternoon for a sail/sup with Kai Lenny followed by beers and movies at the shop from 6pm. Saturday morning WSn’S are doing a demo: 7-11am Fisherman’s Beach, Collaroy. Fun NISCO racing plus DEMO gear – Naish, Fanatic & Starboard. Call ’em if you want more detail 02 9971 0999. Chirs and I took Kai out to Makaha on the Friday for a sail. It started off looking 25knots plus and overhead waves. While waiting for the tide to fall the wind did drop off and the waves were a little full and chunky but overall a really fun couple of hours sailing with one of the top wavesailors in the world. There were plenty of other sailors in the water too – why wasn’t anybody at work? I watched him get these really vertical smacks, an easy backloop and plenty of long waverides. He was grinning the whole time and great to have the conditions for him to really excel in. Even though I told him about the sharks, didn’t tell him about the rocks or currents and made him carry his own gear he had no trouble making me look a little ‘average’. Even the wave of mine where he ‘dropped-in’ he shredded and he was so polite about it! Interesting little board he had too. A 74 trifin with 11″ sides and 15″ centre, cut off tail with a batwing looked really good. Maybe we will see it in production next year?